SEATTLE--(BUSINESS WIRE)--(NASDAQ:AMZN)—The National Retail Federation rated Amazon #1 in its Customer’s Choice Awards, JD Power and Associates named Amazon a Customer Service Champion, and MSN Money has ranked Amazon #1 in its Customer Service Hall of Fame for four years running. 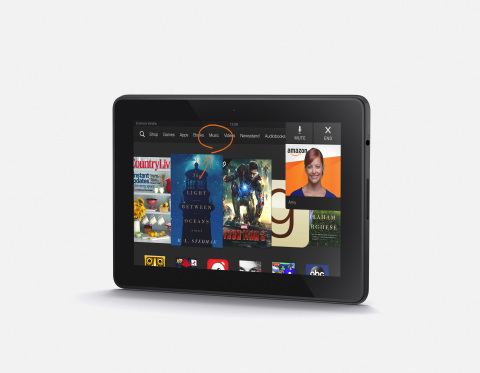 Now, Amazon introduces the Mayday button, extending this world-class customer service to live, on-device tech support, right from your Kindle Fire HDX. The Mayday button is available exclusively on the new Kindle Fire HDX tablets, available for pre-order at: www.amazon.com/hdx.